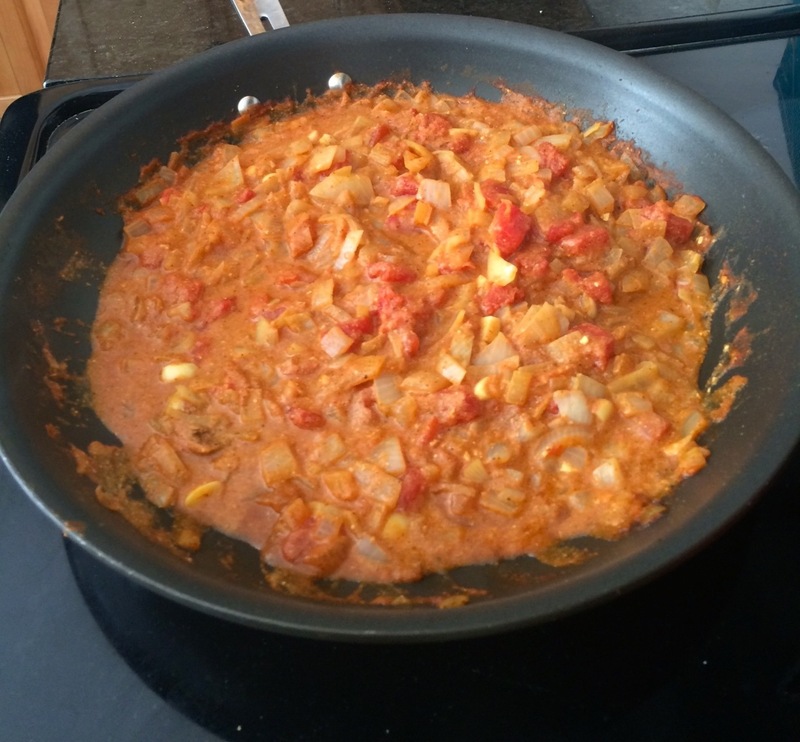 Cook on medium, ~5-10 minutes or until onions are mostly cooked. Stir occasionally. While that’s cooking, dice about half the garlic. Add that when ready. Amounts are to taste, obviously, but I threw in a lot of everything, especially ginger and cumin. Cut up an avocado and add in. Stir. I tried to mash up a bit of it and add to make the sauce thicker, but it wasn’t really needed, so I just cut up the rest and stirred it in. Make sure to cover the avocado thoroughly so they don’t turn as brown. Throw in a bowl with a bit of olive oil, stir around. Put on a pan and into the oven. Put on a pan and spray with olive oil and into the oven. Cut 1 onion into rings. Don’t separate the rings. 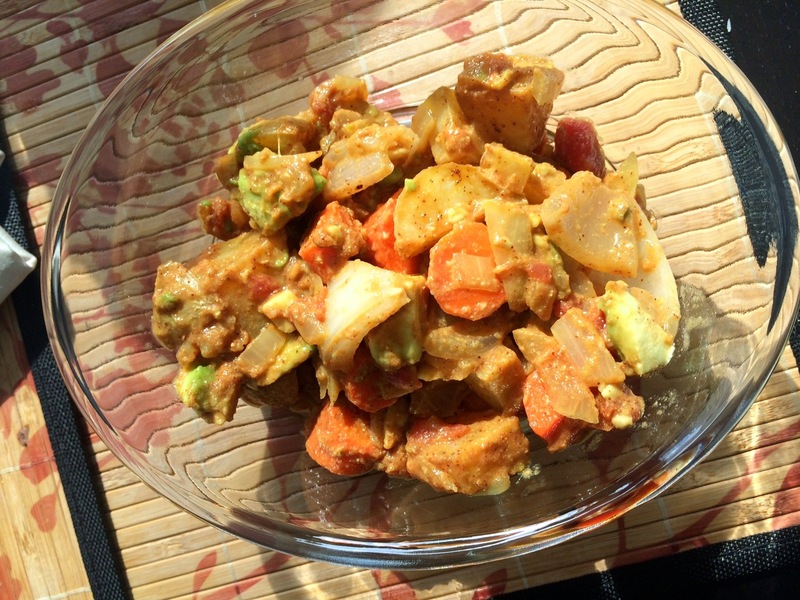 This entry was posted in Main course, Recipe and tagged healthy, recipe, tikka masala. The taste I had tonight was yummy!